Well, despite my inactivity on the blog, I’ve actually been cooking up a storm as of late and have completely changed my diet and way of eating over the last year. It began with us cutting all GMOs (possible) out of our diet (we no longer buy from any of these companies) and then about 8 months ago, I cut out gluten and moved toward a more Paleo way of eating. Then, for the last 20 days, I’ve been doing the Whole30 Program — and have fine tuned my diet even more during this challenge. I’ll write more about that later — but for now, I wanted to share this awesome recipe. I cannot have any grains whatsoever… so that means NO RICE. What’s a girl to do? Well, along with many other paleo and grain-free bloggers, I have jumped on the “cauliflower rice” bandwagon. 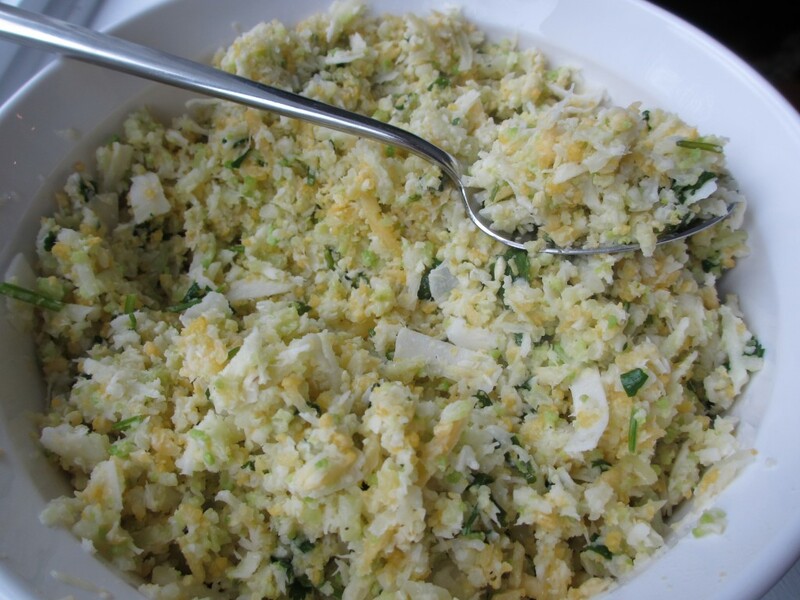 Cauliflower “rice” you ask??? Yes! 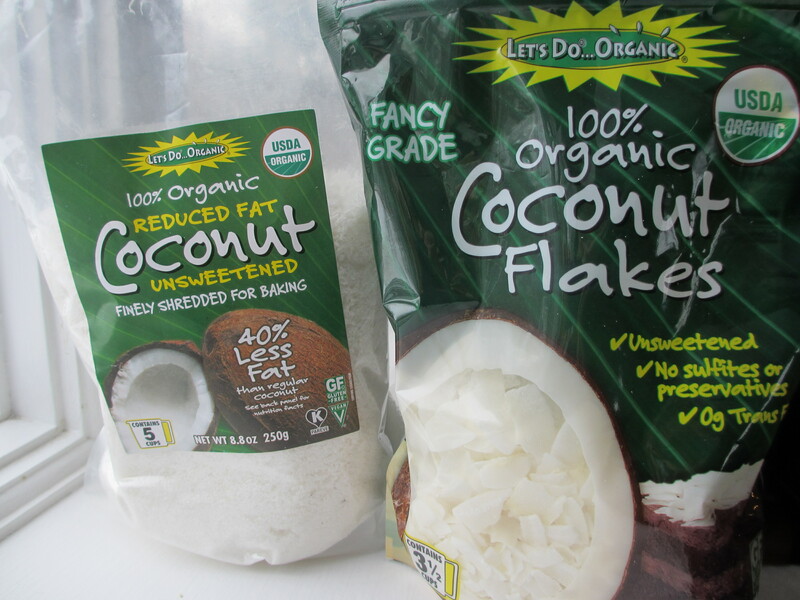 It’s a great substitute for anyone avoiding grains or with a rice intolerance or allergy. But cauliflower isn’t rice, you say. Well, no… but if you put it through a food processor or box grater, it sure as heck looks like rice and has a very similar texture! Not to mention that cauliflower is the new kale, according to predictions on 2014 food trends! This recipe was adapted from the Against All Grains cookbook — one of my all time favorite paleo-friendly cookbooks. Per my usual behavior, of course I altered the crap out of it to make it my own… but I must give credit to the cookbook’s author (Danielle Walker) for pointing me in the right direction. Also, her blog is awesome… so I recommend taking the time to peruse it when you have some time. 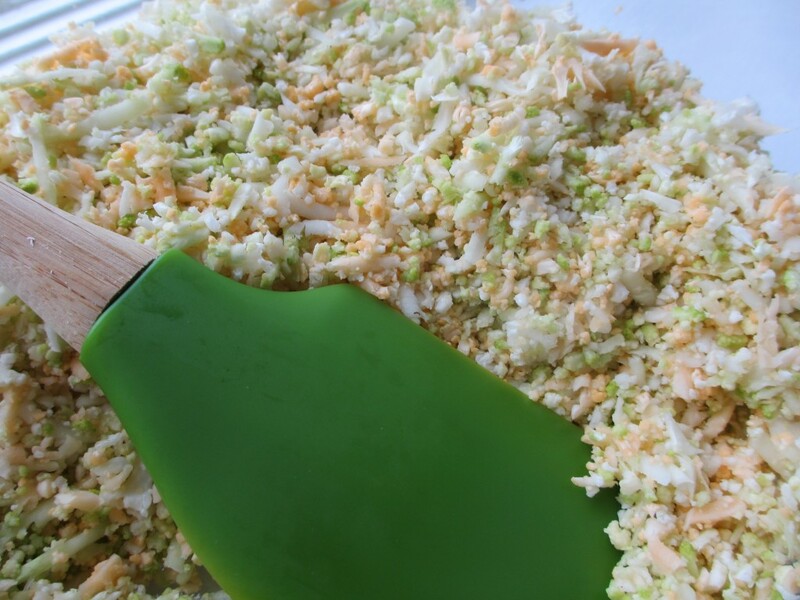 Using the shredding attachment for your food processor or a box grater, grate the cauliflower pieces — giving them the texture and appearance of rice. A food processor is the easiest way to do this. 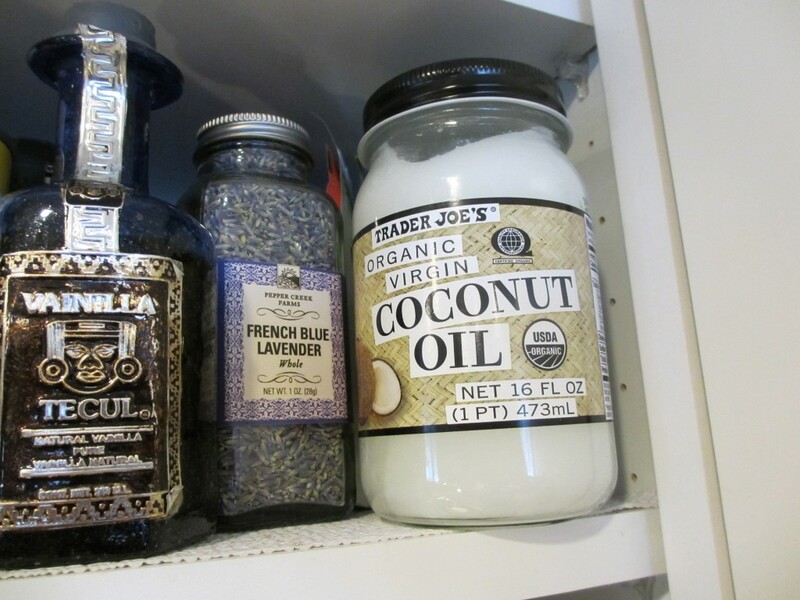 In a large skillet, melt the 2 tbsp of coconut oil over medium high heat. Add the shredded cauliflower, season with salt and pepper and saute for about 5 minutes until the pieces become tender and somewhat translucent. Be sure to toss well so the coconut oil is well distributed. NOTE: I have a great flavored salt that is “chili pepper-lime scented”. It worked very well with this recipe. 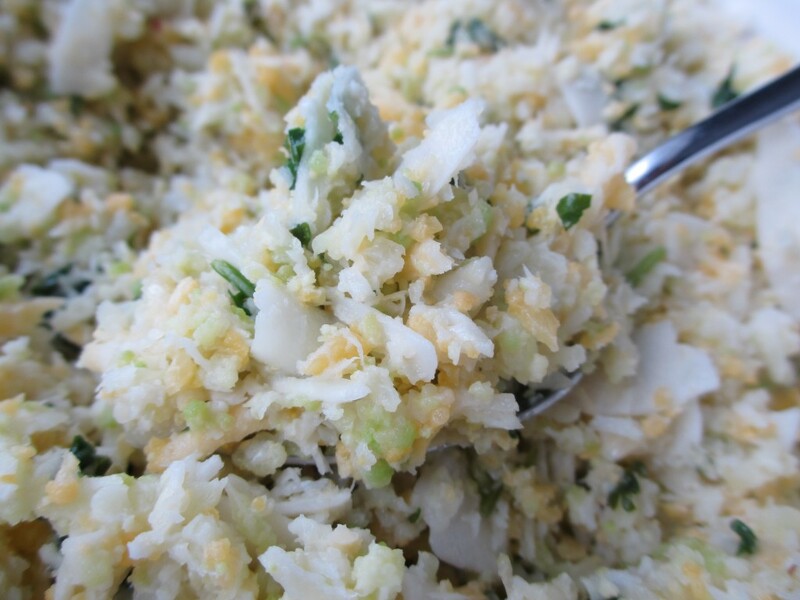 Add in both the grated and flaked coconut pieces. Squeeze the juice of 1/2 a lime into the skillet and continue to stir to mix the ingredients well. After a few minutes, add in the coconut milk, lime zest and coconut nectar. 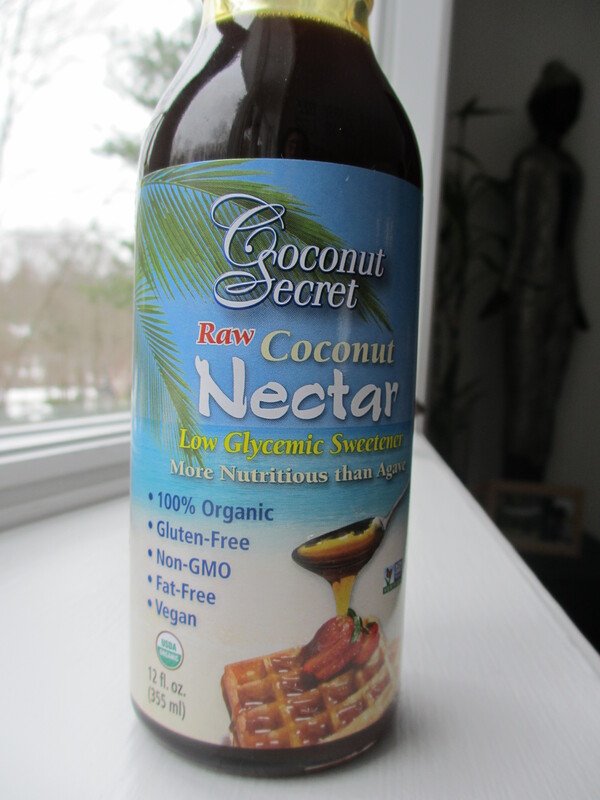 Stir to mix well… which will take a bit more effort to distribute the coconut nectar throughout. Continue cooking over medium high heat until the coconut milk and lime juice are mostly absorbed. Add the fresh cilantro, cook for another minute or two and taste. You may need to add a little more salt or lime juice, depending on your tastes/preferences. Serve with anything you would serve a slightly-sweet rice with… Indian food, Thai food, seafood, chicken, pork, etc. This rice tastes great with everything! Check back soon for more information and recipes that are grain-free, paleo-friendly and avoid GMO ingredients!! !